FM Approvals has been made aware of a manufacturing defect that affects the performance of certain Fire Sentry brand flame detector products. Serial numbers of the products in question, as indicated in the attached Honeywell Product Safety Notice, have been manufactured using a faulty integrated circuit (IC) device. In certain instances, use of these flame detectors may result in improper operation over a period of time, including false alarms, abnormal LED functionality and, in limited instances, failure to detect. 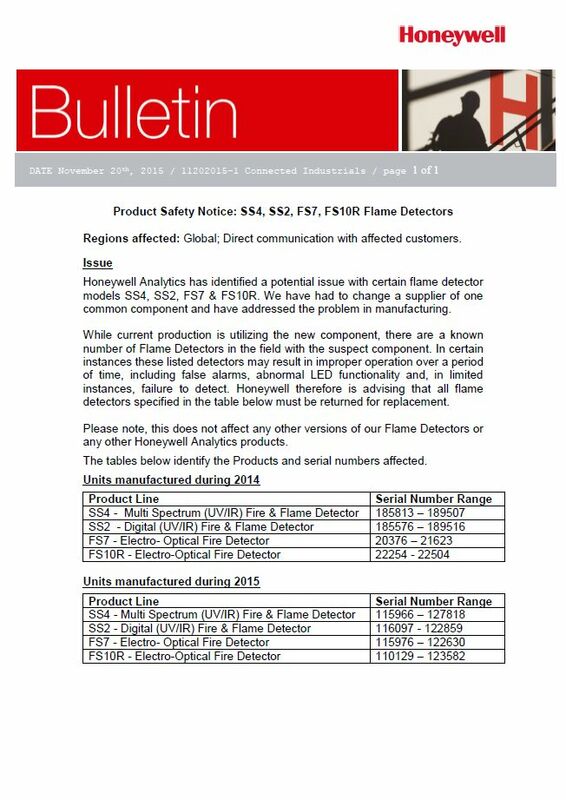 Therefore, it is advisable that all flame detectors specified in the attached Product Safety Notice be returned to Honeywell for replacement. 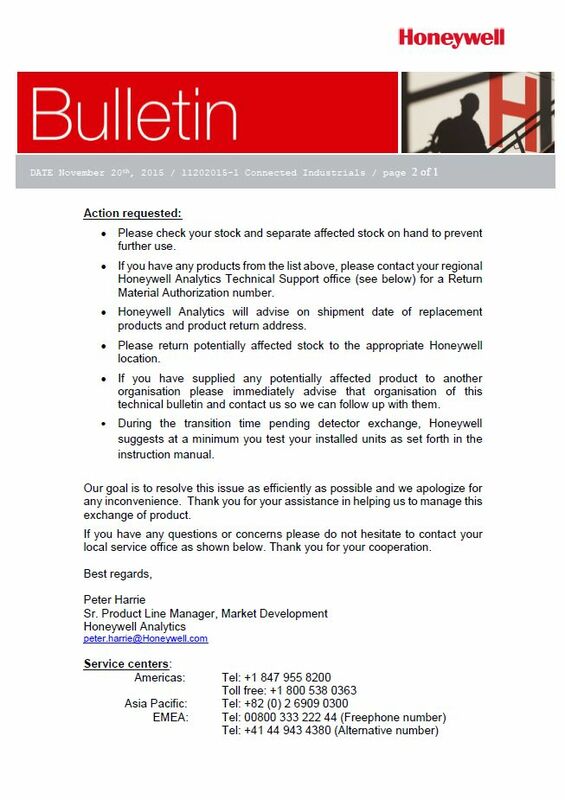 As indicated in the attached Product Safety Notice, please contact your local Honeywell service office for immediate replacement and follow the recommendations under ‘Action requested’.